Wild Swan Publishing was set up in 1979 by Paul Karau and June Judge, both of whom had previously been involved with the legendary Oxford Publishing Company (OPC) in its halcyon independent days. Since 1979, Paul has consistently demonstrated and honed his considerable book designing skills through the publication of a wide ranging list of beautifully put together and produced railway books under the Wild Swan Publishing name. 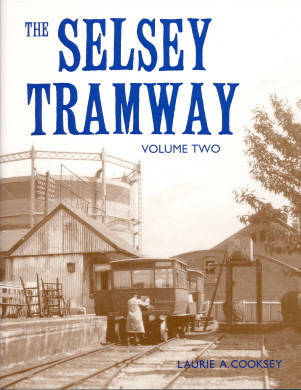 In 2006, Paul delighted light railway enthusiasts by publishing Laurie Cooksey's delightful 2 volume study of the Selsey Tramway. Eschewing the use of digital technology to this day, all of Paul's books and publications have a unique style and character which fits perfectly with their subject matter. To pick up a Paul Karau produced branch line history and delve into it will take you back to an age of more orderly and sedate transportation - places that you might now know as uninspiring supermarkets or roundabouts will live again in your imagination as the solidly built stations and goods yards that many of them once were. Paul's style is perfectly in tune with his subject, photographs of railways and long gone places and people are beautifully presented alongside well chosen examples of period typography and literature. The railway subjects being discussed are invariably presented in their correct social and historical perspective and the value and interest of the books are consequently enhanced. This approach and care is extended to every subject that Wild Swan publishes books on, from light railways to main line locomotive monographs. 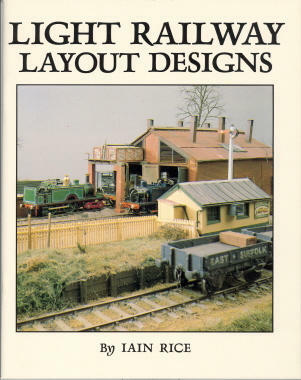 In addition to a superb list of wide ranging historical railway books Wild Swan has also published a comprehensive range of truly inspiring but completely practical railway modelling titles, featuring some of the best known and most talented modellers on the current scene as authors. Here is Iain Rice speaking in 1991 upon the publication of his seminal "Light Railway Layout Designs". 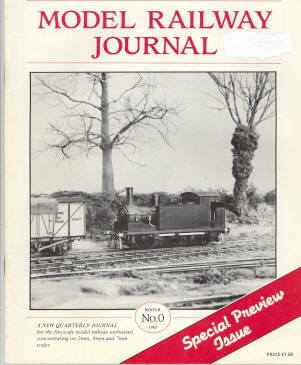 "But my chief acknowledgment must be to Bob Barlow, who took the East Suffolk Light from some rather prosaic beginnings and made of it something quite unique..."
As if this weren't enough, in 1983 Wild Swan launched the "British Railway Journal", followed in 1985 by the "Model Railway Journal". MRJ has arguably had the greatest impact on the magazine world, despite recent problems with distribution caused by the irrational twitching of the ailing WH Smith organisation. Seen by many as the successor to the late and lamented "Model Railways" it is no over statement to say that it consistently provides the most adult and intelligent reading material for model railway enthusiasts across the whole of the English speaking world. A few years later the "Great Western Railway Journal" was started, which is now produced on a regular quarterly basis. Later, coverage was further expanded with the slightly more "bookish" periodicals "Midland Record" and "LMS Journal". From 2014 both of these were effectively replaced by "LMS Review". All of these publications are produced to a consistently high standard. For the first time in print, the story of Model Railway Journal's birth and its subsequent phenomenal success. Illustrated with iconic magazine covers - click here for the full story.